John Innes has forwarded the following update for Blunderbuss. We commend the quotation he used at the 2013 Reunion Lunch, which appears at the end of this piece. “Rev'd John Innes (part-time teacher April 1967-1996). 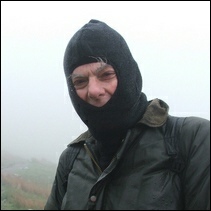 Photo attached (see left, posing as a terrorist, taken on the lower slopes of Snowdon before the weather closed in). I still live in Upper Hale, My retirement is an active one - helping out in the local parish (St. John’s, St. Mark's, St. George's) and occasionally in other churches when the need arises. The year has had its sadness. I took the funeral of a former colleague, Stanley Owen and two former pupils, Matthew Owen and Donald Simpson. I still do some teaching, being involved in the U3A (for over 50s!) with a World Faiths course and another one on Russian Literature. I was travelling abroad about once a year (Turkey, Russia etc. ), but in the last two years it has been only family holidays in Wales and Guernsey. Some of you may remember members of the family. Jill is coping courageously with Multiple Sclerosis and is in a nursing home, but comes home at week-ends and appreciates Sailability on Frensham Pond. Michael (Grammar School) is on the beautiful Dorset coast at Swanage and just far enough in to avoid landslides, and he works in Bournemouth. 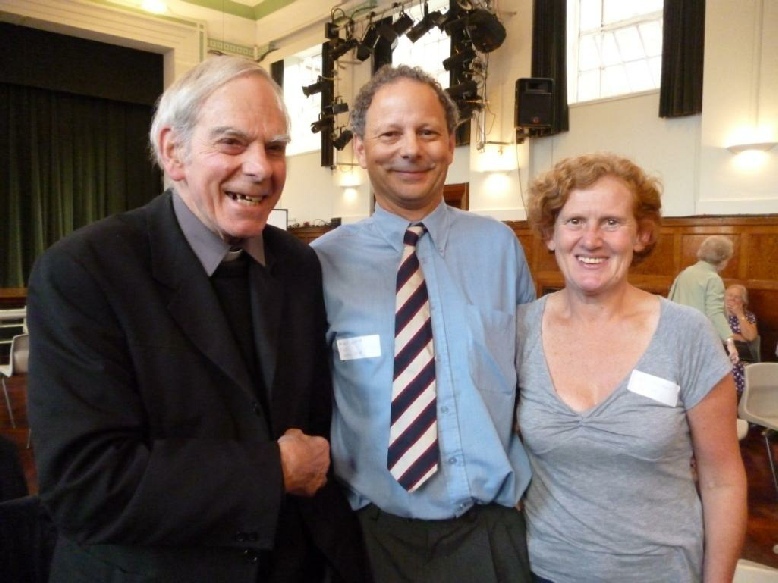 Elizabeth lives near Bath and is working with 4 schools helping with parental guidance. (tapping into her parents' mistakes). David was only at Farnham College, but experienced some the same staff as the others. "for when things are going well with you, he is a good counsellor and sympathetic collaborator, while when things are going badly, he is the truest of helpers and a most compassionate supporter". (Maximos the Confessor (580-662) 4th Century on Love no. 99) .